Funny thing. 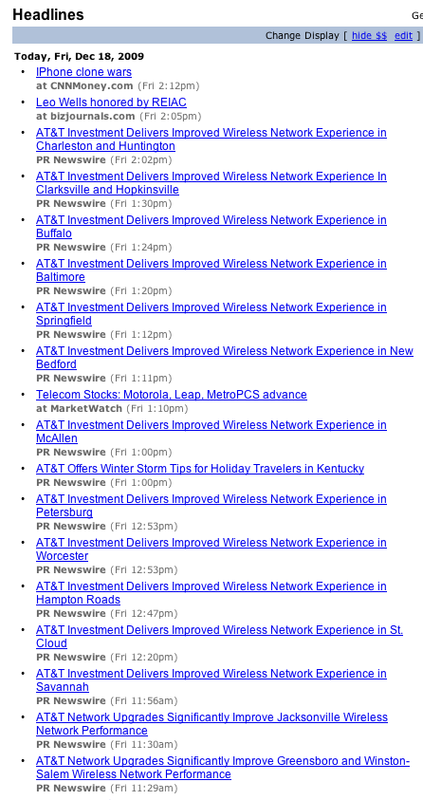 These are the headlines from AT&T’s headline page on Yahoo today. They’re making improvements all over the place! Baltimore, Buffalo, Savannah, Jacksonville. Wow! What an awesome company. Much love to dear reader Ron for calling our attention to this.